Its funny that when I entered the SCEE Seminar Hall at 10:30 it was bathed in eerie silence like that in the void of space. But not for long. 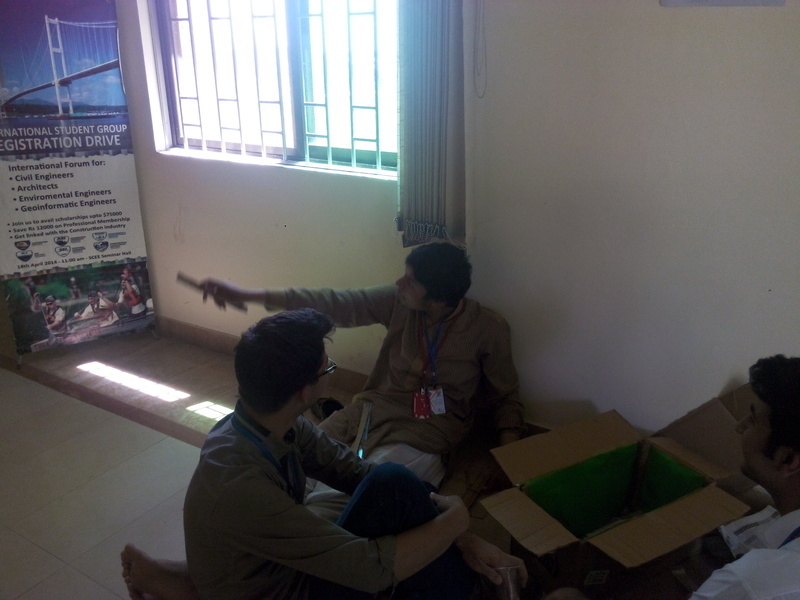 Soon the room was booming with the voice of ASCE representative Ali Zameer who briefed the teams on the rules of the space shelter building round. 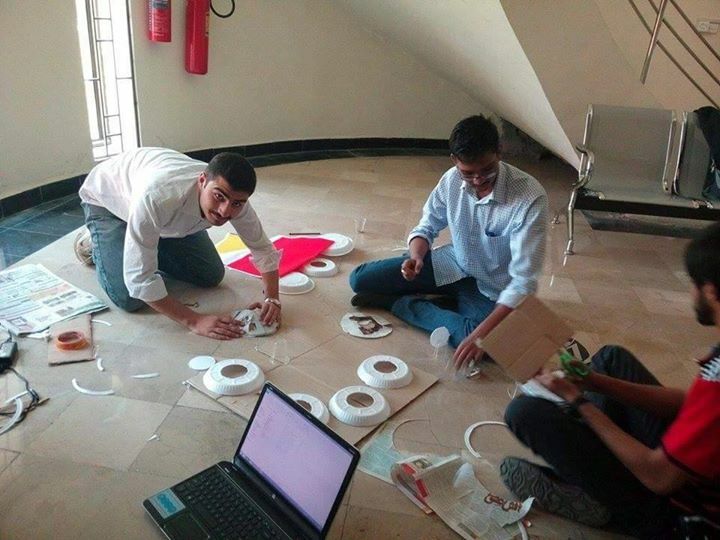 They were provided with scissors, paper, coloured sheets, paper plates and plastic cups, cardboard and glue. No outside material was allowed but tools like screw drivers or box cutters that teams had brought with them were allowed (more on that later). The teams were called off to their allocated spaces and began their voyage to the inhospitable terrain of Mars. The building contest didn’t just concentrate on the strength of the structure and its design. There were other things on the surface of Mars that needed to be addressed. The red planet has intense dust storms, one third the gravity of earth, lack of oxygen, and freezing and scorching temperatures as well. 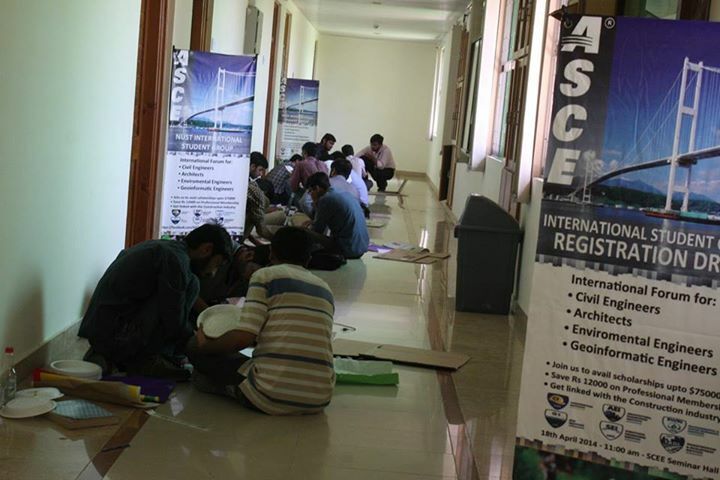 By lunch time (1:00 pm) the teams’ structures had began to take visible form. A few looked inspired from the Star Wars Universe while team “Mars Stars” looked to be taking their cues from the Justice Tower in the Justice League animated series. Others had heavy influences from Interstellar and some were so unique I had no idea what they were building. They probably prepared for the competitions the way we study for our OHTs, at the last moment. Team Curiosity had already started making money from their enterprise. 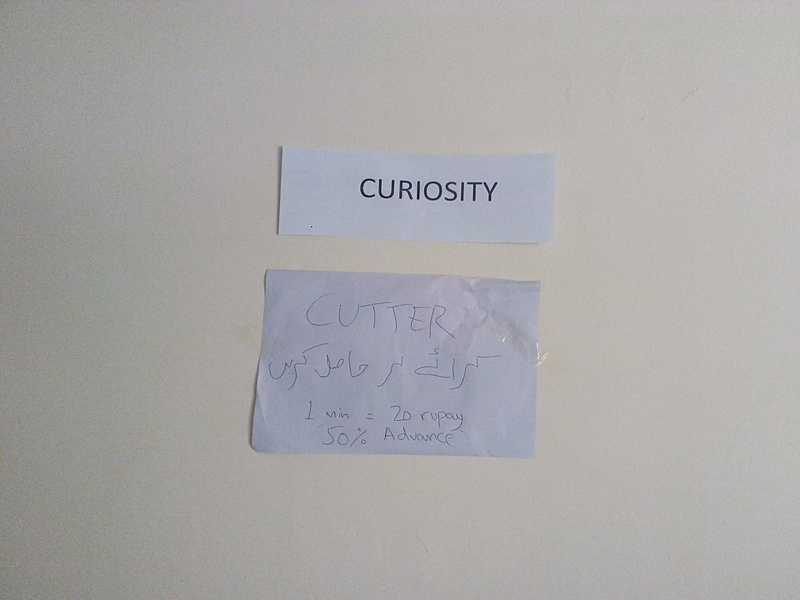 Since no one else had a box cutter to cut the cardboard provided for the shelter, any one in need of it could take it for 20 rupees per minute provided they pay 50% in advance. The War Hawks looked like they were building a war bunker and Team Boys with Toys had a sort of aquarium-like building in process. No wonder their structure looked like a Pokemon Gym. 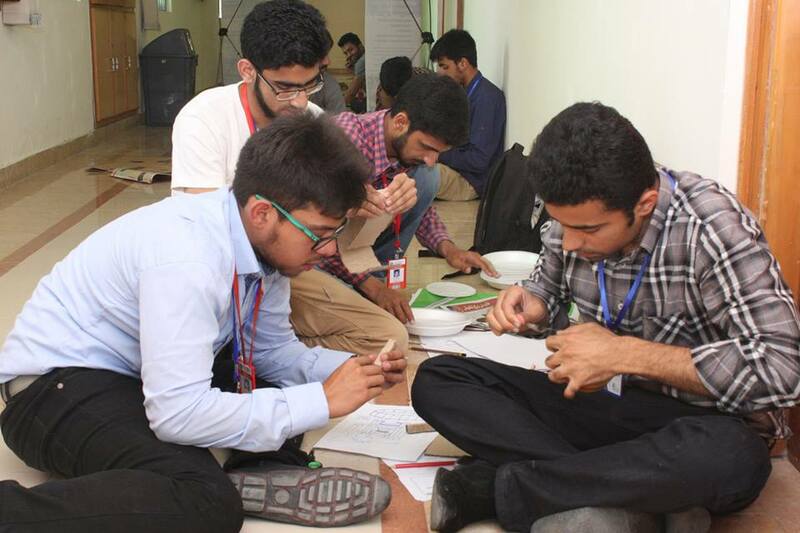 Teams experimented with establishing a garden of sorts to produce oxygen, using solar panels and wind turbines for energy (team “Connect It” and “Curiosity”), 3D printed facilities (Team “Kakashi”), the process of terraforming (Team “Mars Stars”), oxygen absorbing crystals (Team “War Hawks”) and magnetizing Mars’ surface to account for the low gravity (Team “Aquifers”). “Judge Waseem Khalid: Why don’t you use magnetism on Earth? 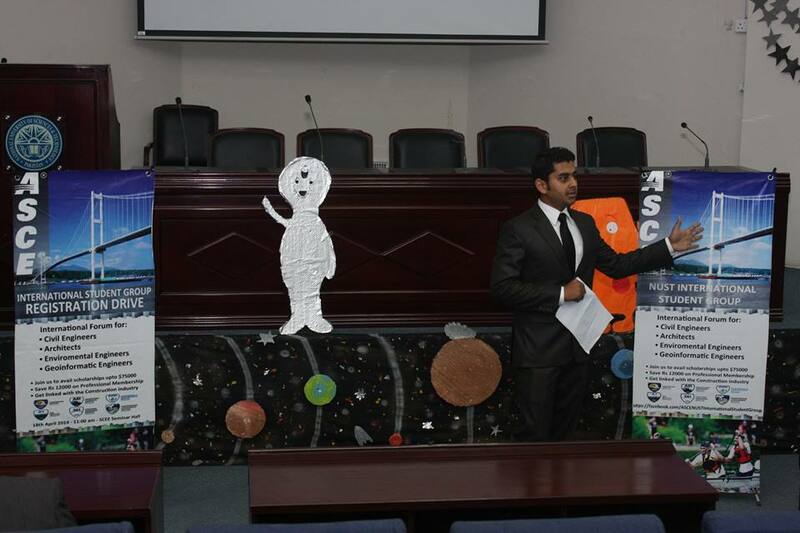 the winners were announced by Umar Alamgir, President ASCE. The judges were also awarded plaques at the end. Nothing about the best team ” Swaggers ” ………..?